Calling all contractors, flippers and handymen. This house has good bones but needs a complete make over down to the studs. Location second to none in south River Heights on a large 46 x 102 lot. A house with a lot of potential. 4 bedrooms with 3 bathrooms including an ensuite bathroom, main floor bathroom and bathroom off the recroom. 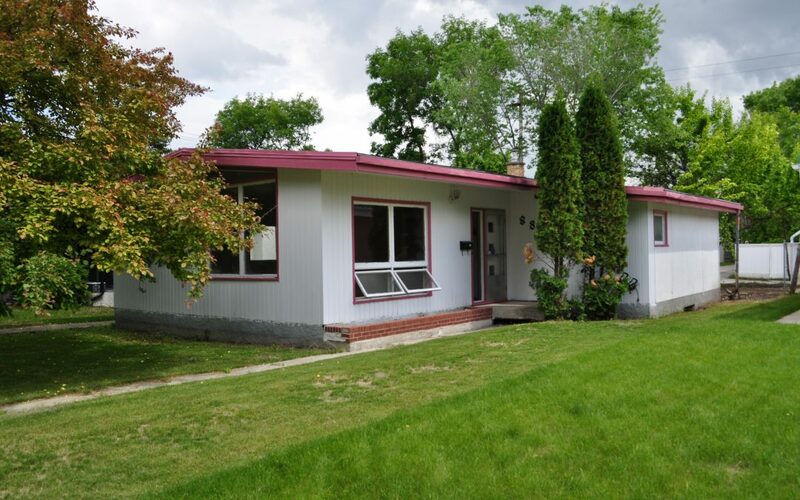 House is nicely situated on the front of the lot giving a large backyard. Open concept design with large windows, vaulted ceilings, central kitchen and dining area. Mid century modern design. New furnace and roof is about 8 years old. If you’re the type that can see past the current state this house is in and into the future you’re going to have a great house.